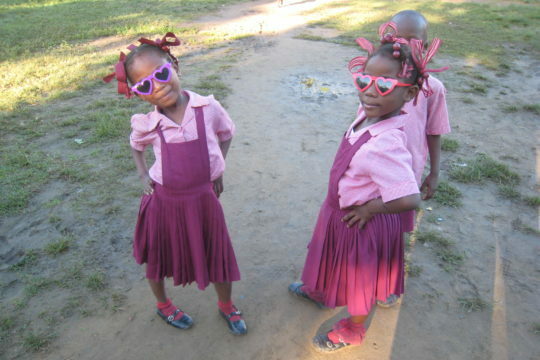 More than 500,000 Haitians, about 5% of the population, are legally blind; more than 80,000 have no light perception at all. 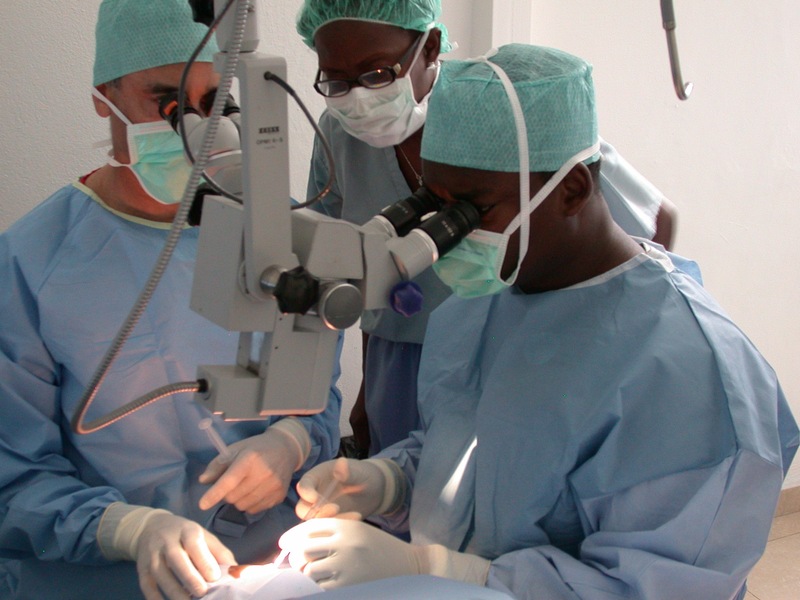 There are only about 50 ophthalmologists serving Haiti’s population of more than 10 million people, and only about 10 of these are located in the Nord region. The long-term goal of the HUFH eye team is to facilitate the delivery of high-quality, sustainable eye care in northern Haiti. The team works with Haitian ophthalmologists at Justinien Hospital and the Vision Plus Clinic in Cap Haitien, lecturing about ocular diseases, consulting on patients with challenging diagnoses and teaching new surgical techniques to Haitian medical professionals. HUFH also trains ophthalmic technicians and nurses in the new skills they need to evaluate patients and better assist the doctors. 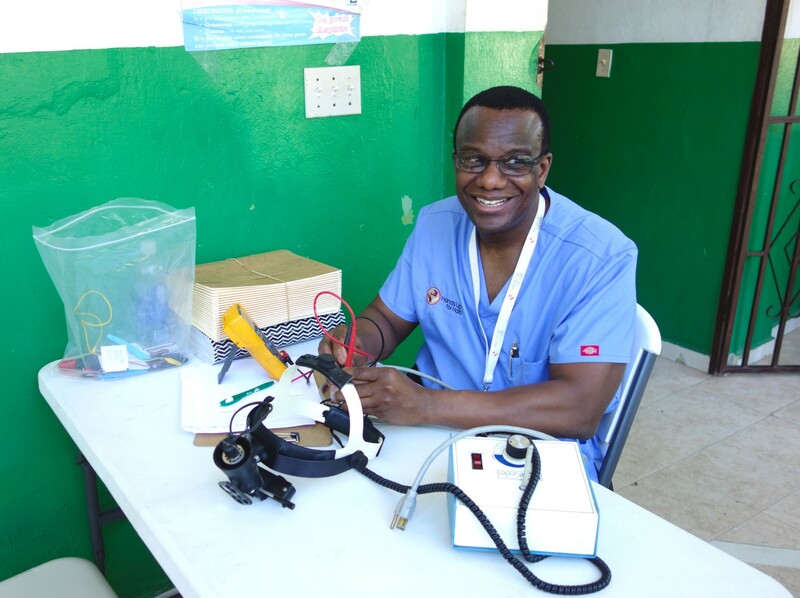 A medical engineer joins us on our missions to repair instruments and train local technicians. Donations help us purchase and ship these much needed and vision-saving ophthalmic instruments that are used in both the clinic and operating room. 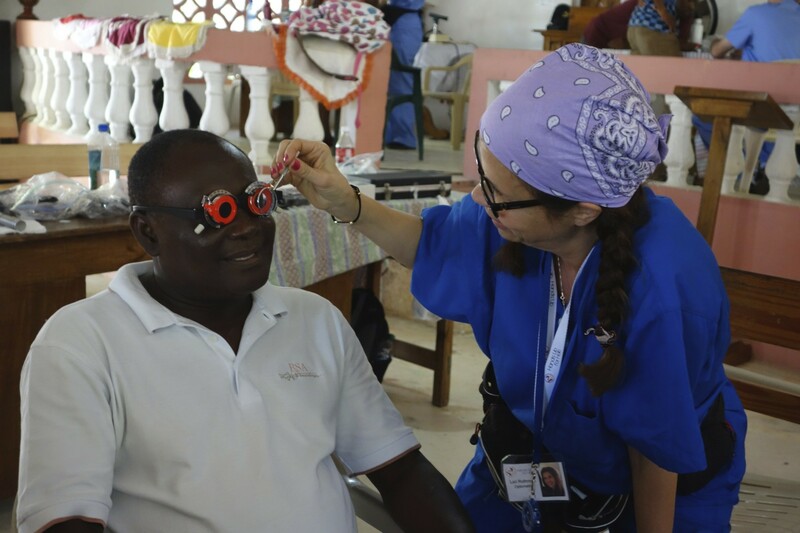 The HUFH eye team travels regularly to the Open Door Clinic in the village of Bois de Lance to screen patients for eye diseases, dispense eyeglasses, and offer community education on eye health. Damage to the retina from exposure to the sun can lead to loss of vision. With the unavailability of sunglasses, many older adults have premature vision loss. Each eye team distributes sunglasses while on the ground.